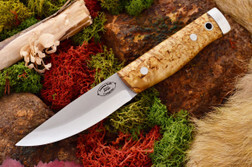 The American Knife Company Forest Model is the inaugural blade from the American Knife Company. 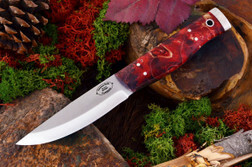 AKC was formed by Jim Nowka with the intent of producing top quality knives and tools built to be used in harsh environs worldwide. Jim knows a thing or two about dealing with adversity and hostile environments. From Jim’s days as a farmer tilling the rocky landscape of Northern Michigan to his days as an operator in the Middle East he knows that tools need to be built to handle tough use and be built to take that use and perform when the need arises. This background led Jim to own and operate KnifeForums and later work as a consult to Blade Magazine. Jim’s Rolodex is filled with every name in the knife and cutlery industry. He is as well connected as anybody in the business and he has drawn on these connections to help him design a line of cutlery that will wow you with its appearance and ability. Additionally, Jim is a real American patriot. 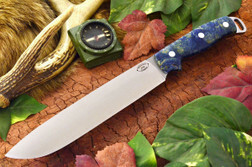 This adoration of the United States dictated that every piece of an American Knife Company knife (including the sheath) be made in the US by hard working Americans. AKC’s tagline is that their American knives have to perform…no excuses…no matter what. 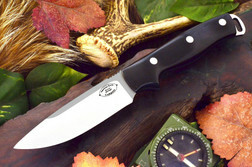 All American Knife Company forest knives are covered by an unconditional warranty against defects. 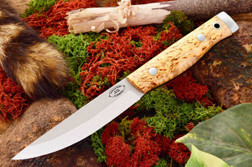 If you are looking for one of the best built, USA made bushcraft knives check out the American Knife Company Forest! This model includes a highly functional, unique leather sheath that has rare earth magnets for increased retention as well as being able to be used to make a makeshift compass.